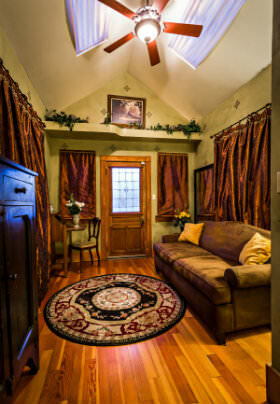 Enjoy a private balcony and sitting area in this king-size suite! 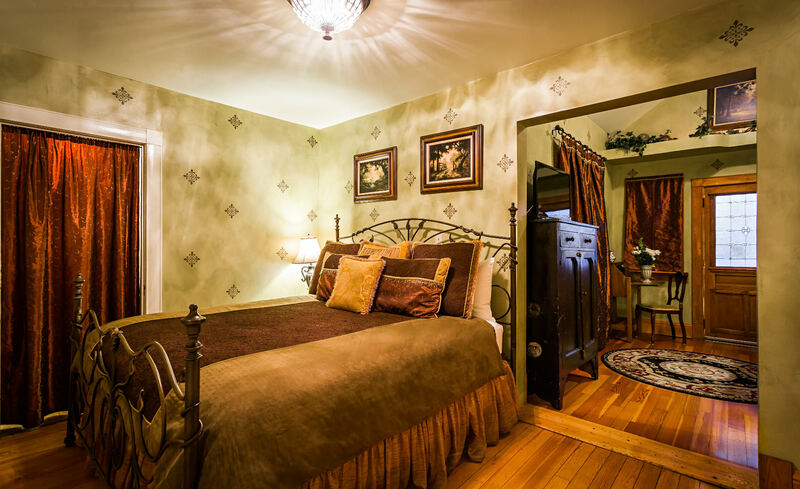 Located in the Heritage House, the Ivy Room provides a comfortable, luxurious, and romantic setting. The private balcony with comfortable patio furniture overlooks our lush backyard and the beauty of Downtown Albuquerque. 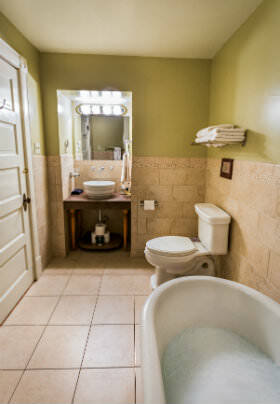 The private bath offers a large original claw-foot tub that also serves as a shower. The full-size sleeper sofa, located in the sitting area of the suite, can comfortably accommodate additional guests. A custom-made bedspread, pillows, and lovely brown silk curtains accentuate this elegant room.